Peter Jones and the other Dragons, watch out! There's a new designer who may pitch her design one day! 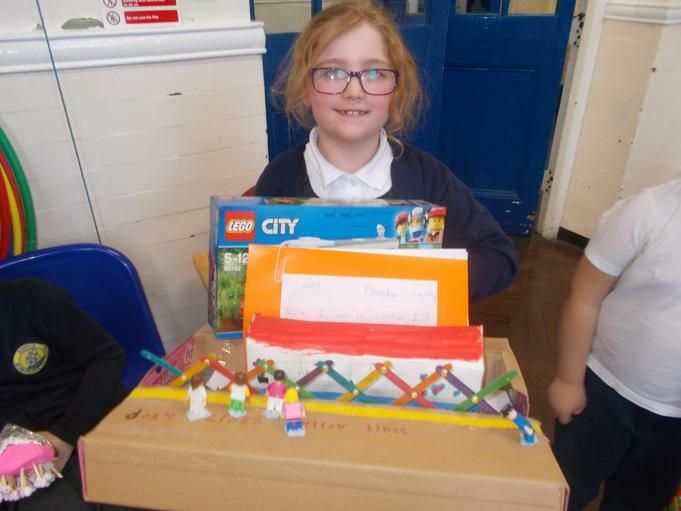 Winner of Dragons' Den for Year 1 and 2 is Phoebe, who won the competition for her design of a safety bridge.